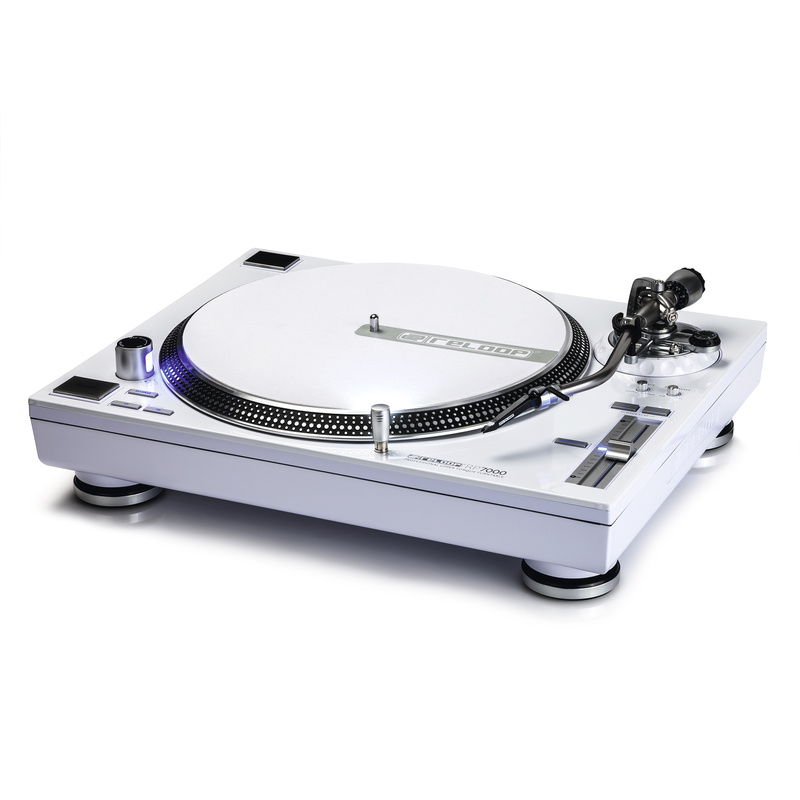 The Reloop RP-7000 LTD. is the solution for all vinyl DJs and DVS users who are looking for a professional high-torque, club-standard turntable with extremely strong motor and a sturdy and indestructible construction. 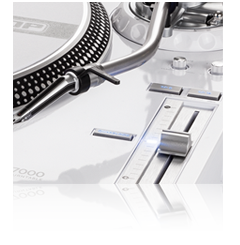 With its classy and scratch-resistant painted metallic finish the RP-7000 LTD. is not only suited for your everyday club grind, it also looks extremely cool. 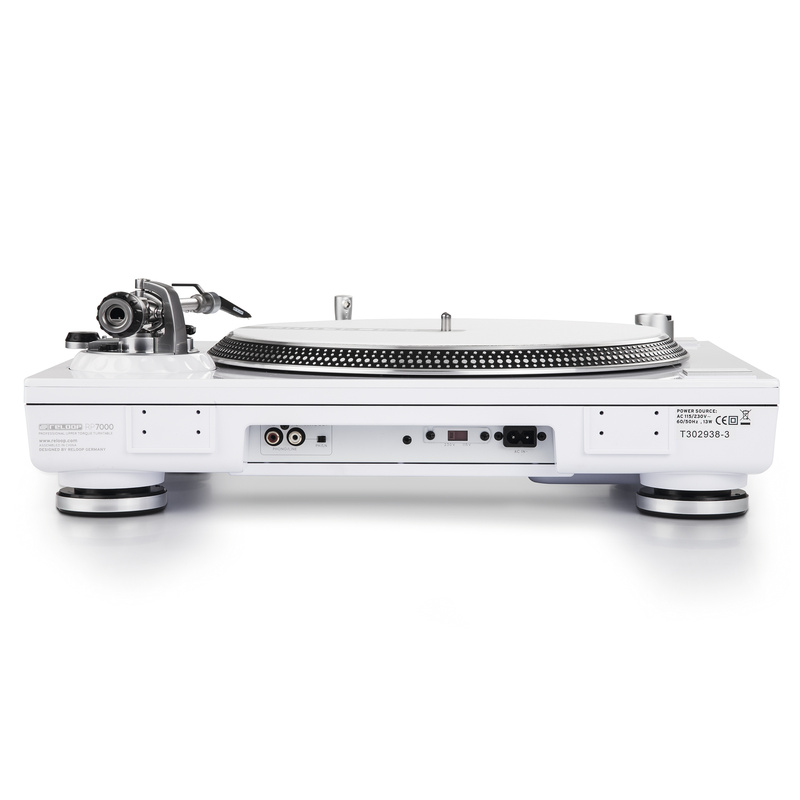 On the technical side, the RP-7000 LTD. has also got a lot to offer: the highly dependable direct drive and improved even speed with digital correction make this turntable reliable and a device of precision. 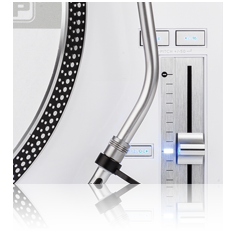 Thanks to the three selectable pitch ranges (+/-8%, +/-16% and +/-50%) and the high-resolution digital fader, the pitch resolution is highly precise. 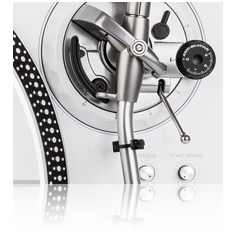 With a divergence of only 0.02% beatmatching becomes easy as can be with the RP-7000 LTD.. Sophisticated and fast turntablism showcases can also be realized without a problem, thanks to the additional start/stop button for vertical positioning and a variable torque from "Classic" to "HiTorque". 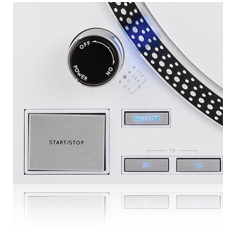 More variety in the mix: with the reverse button and an adjustable start/stop time from 0.2 to 6 seconds, individual and creative impulses can be set with the RP-7000 LTD. As the turntable is equipped with a line/phono switch, it can even be connected directly to line inputs of mixers or amps - grounding not necessary. Specified data of approximate value. 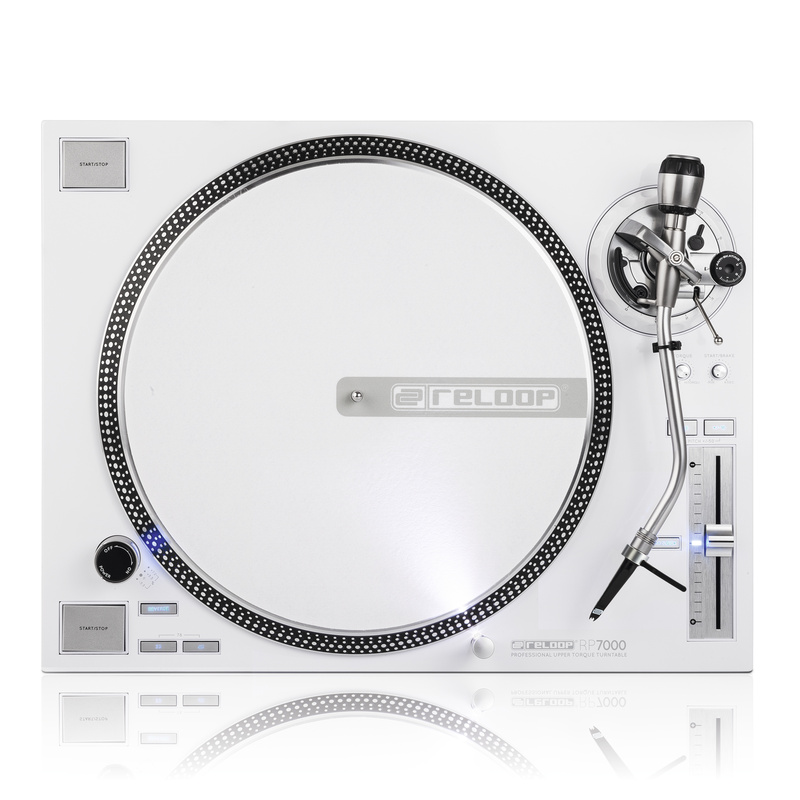 "Reloop has just announced two brand new turntables[...] that is sure to get vinyl and DVS users very excited." Alles in Allem ein gelungener Plattenspieler, an dem Mix- und Scratch-DJs gleichermaßen Spaß haben werden.